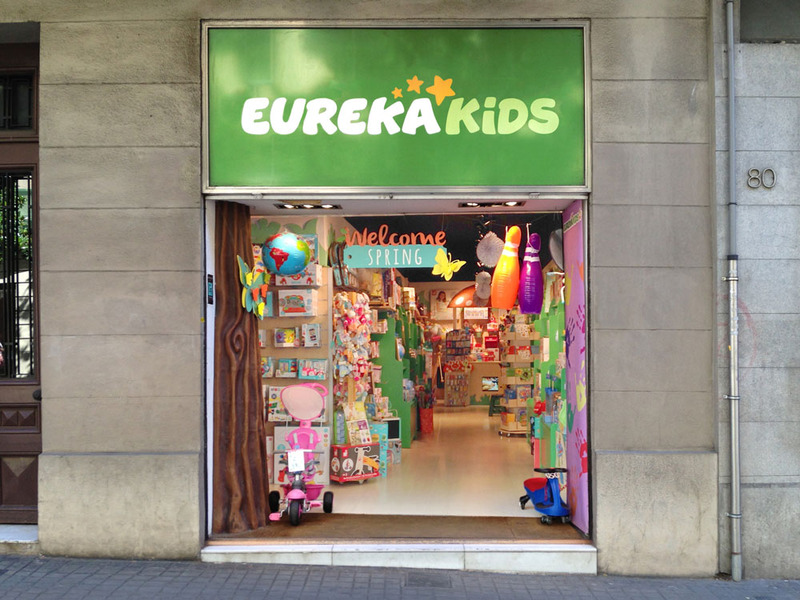 Brand New: New Logo for EurekaKids by Marçal P.
New Logo for EurekaKids by Marçal P.
A couple of store façades. The old logo was a little frenetic with the bubbly letterforms bouncing all over the place, the heavy stroke around everything and the stars getting all up in the "A"'s face. The new logo is a much more tame, controlled, and infinitely better interpretation of the original. The wordmark still retains the quirky letterforms that now achieve a better bounciness without having to place them all over the baseline. (Bonus points for the two different "E"s). And the stars now help divide the EurekaKids word in two and fill in what would otherwise be an awkward space. The logo looks great big or small on the entrance logos or the packaging. (Est. 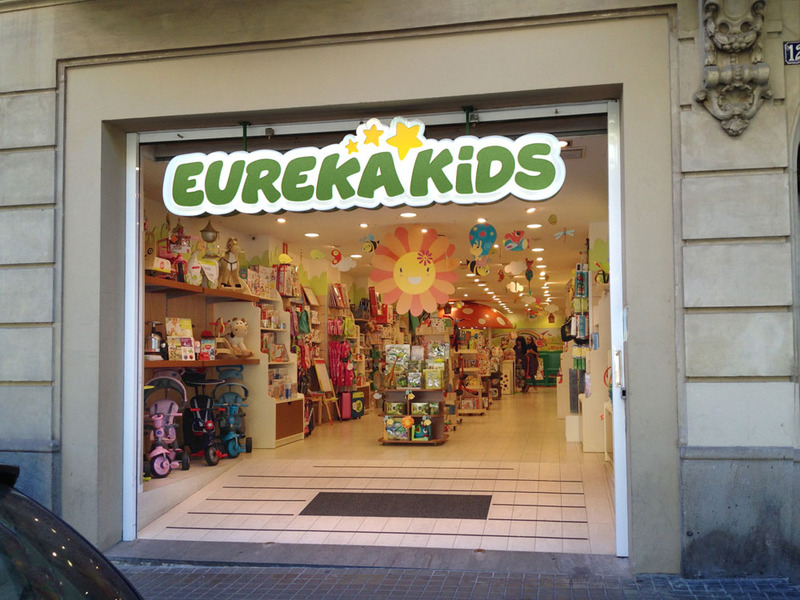 2002) \"EurekaKids is a company dedicated to designing, developing, and selling educational and developmental toys that aim to help children in their mental, motor, and emotional development. We are interested in games and toys that you can touch, feel and even smell. These toys have been created or have been selected by our team of experts to promote awareness of children for their educational, recreational, and aesthetic value. In addition, since 2005, we also sell via the Internet to all countries.\"